oday’s consumers are demanding products that offer more than just what’s in the package. Producers are challenged to create light-weight, durable, attractive, but environmentally friendly packages. 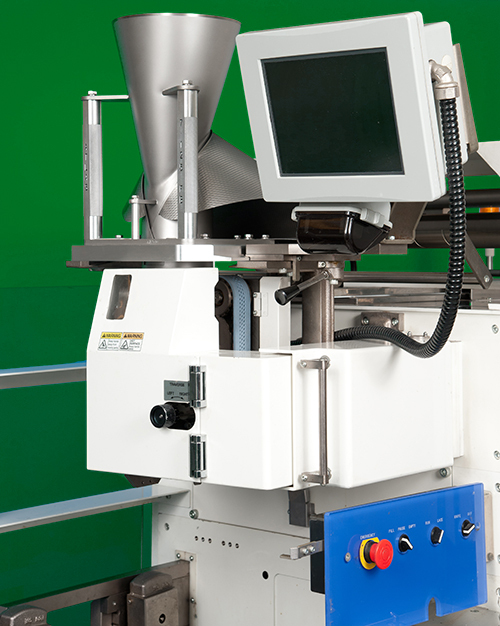 Today’s packaging equipment is more complex, automated, and designed for near constant use. Our forming shoulders, also know as forming collars or formers, provide precise film tracking, balance, high product transfer speed and are durable under hard use. Custom solutions for worker protection. Our proprietary Duralyte formers are up to 40% lighter than our traditional formers, but just as durable. Forming collars can be heavy. As a result, lifting injuries can result in pain, lost productivity, and workers’ compensation claims. We care about our employees and customers like family. That’s why we created Duralyte, a unique product that combines the best innovations in lightweight materials and toughness of service. Our proprietary Duralyte formers are up to 40% lighter than our traditional formers, but just as durable. These forming assemblies are designed on our 3D software program that allows us to remove material in strategic locations without compromising rigidity. We then maintain the highest quality stainless steel in the areas needed while utilizing lighter materials on other parts of the unit. We have the “Duralyte” in many plants around the world and have had great success. Choosing Duralyte helps protect employees from lifting injuries and because they’re easier to install and align, you have less down-time. Former Fab’s sealing jaws get your product sealed and in transport fast. Our endseals are CAD-designed, then produced using the latest manufacturing techniques. Our sealing jaws are designed for long life, to minimize film waste, maximize product safety and most importantly, your bottom line. Former Fab fabricates custom all-metal solutions and offers a wide variety of materials, fabrication, and finishing services to produce your project to your specifications. Whether it’s new fabrication, or refurbishing the “tried and true”, Former Fab can help you get maximum use out of the equipment you have already invested in. We are proud to announce the completion of our 30,000-square-foot facility for design, development, and product testing at the Former Fab Business Park at 2101 Former Fab Drive on 5 acres in Pearland, Texas. This enlarged footprint has superb access and allows us to continue growing in step with our customers and accommodate our expanding support role capabilities. We believe that the best testimonial comes from the fact the Former Fab enjoys one of the highest client retention rates in the industry. Once a Former Fab customer, always a Former Fab customer! However, if you’d like to know more about what Former Fab can do, take a look a what our customers say!